Tai Chi (also pronounced Taiji) is a system of Chinese internal martial arts created around 14th Century by a man named Cheng. There are a few different schools of Tai Chi Chuan known as Chen, Woo, Sun, Yang and Shaolin Styles. These systems have given life to many smaller branches around the world. In 1800 Yang, Ban-Hou altered the form taught to him by his father, Yang Lu-Chan to protect it from Manchurian rulers. Yang, Ban-Hou taught the original form to one of his disciples Wang, Chiao-Yu who later taught the original system to Kuo, Lien-Ying (1895-1984). After inheriting the lineage from Wang, Kuo applied his lifelong Shaolin, Hsing Yi Chuan, and Pakua Chuan experiences elevating his Tai Chi system to another level. He became the undefeated martial arts champion of China and an undisputed master of Chinese internal arts and the foremost authority in the Chin school which offers the closest blend of soft and hard style of martial arts. This system became a major combative course with the United States secret service and various branches of military. Kuo, Lien-Ying taught the system in its full original form with his new fighting system to Lenny Vavalette (1922-2011). Lenny Vavalette brought a new advance level, and fighting spirit, training regiments, internal Chi building, and musculoskeletal conditioning to the system making it a more advance style of Shaolin Tai Chi Chuan. The Great Grandmaster Lenny Vavalette, also known as “Sifu Lenny” was one of the highest rank Tai Chi Chuan masters and a respected authority of the system. He received his training from China’s martial arts legends such as China’s all-time undefeated boxing champion and undisputed master of Tai Chi Chuan, Hsing Yi, and Pakua Chang, Sifu Kuo Lien-Ying, Hong Kong’s all-time Kung Fu and Tai Chi Chuan Sifu Gey Chang, and the Chinese Kung Fu legend and the President of Northern Kung Fu Association, Sifu Y.C. Wong of San Francisco to name a few. Sifu Lenny’s extensive teaching and understanding of multiple systems of martial arts have allowed him to be one of the foremost authorities of Tai Chi Chuan and Chinese martial arts. Sifu Vavalett was also an expert in the arts of Chi Kung, Wu Gong, and Tai Ket Kuen. He received most of his training in China, Hong Kong and then in the United States. Sifu Vavalette’s background outside of being a Great martial arts Grandmaster included being a Jade Miner, a United States Air Force Pilot, a leading Air Force Acrobatic Instructor, and a successful Businessman. In mid-1980’s when Farshad Azad was a Master’s student at California State University, Chico he met the Great Grandmaster Sifu Lenny Vavalette. Right away Sifu recognized Mr. Azad’s talents and knowledge of martial arts and fighting systems and started sharing martial arts experiences. Mr. Azad an already accomplished martial artist and a martial arts black belt master in multiple arts was accepted by Sifu Lenny as a personal student. Azad began learning Sifu’s Tai Chi system as well as special combative methods directly under Grandmaster’s teachings since then. 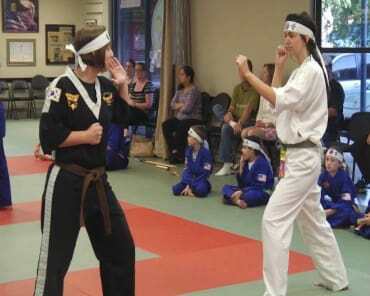 Soon they conducted multitudes of martial arts demonstrations all across Northern California together. Master Azad created a martial arts retreat and specialized outdoor martial arts training camp known as “Warrior Training Camp” at Sifu’s property in the mountains where they had a large number of students of all ages show up annually to train in various systems of martial arts and get empowered mentally and physically. 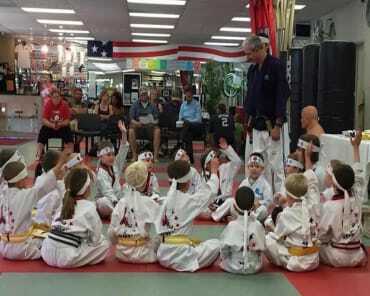 A large number of martial arts Masters and Grandmasters from many different Chinese, Japanese, Okinawan, Korean and Southeast Asian systems were also invited as guest speakers and instructors. At age 86 Sifu Vavalette decided that it was time for him to transfer his knowledge, authority and the true understanding of his Tai Chi Chuan to Grandmaster Farshad Azad. An intense training regimen began for Master Azad. Averaging 7-8 hours of one on one lessons per day where Sifu and Master Azad would train at any given time. “I had to be ready at all times. I would get a call at any given time of the day to train. Even at 3 am Sifu would call to meet him right away for hours of highly intense training in the streets, in the hills of northern California or at the dojo.” Said Mr. Azad. Training was conducted anywhere and anytime and under any circumstance when Sifu would call on Master Azad. 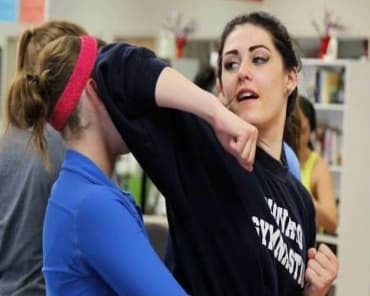 “After many decades of training in various systems of martial arts, 21 years of which was also training with Sifu Vavalette, I once again felt like a beginner student and learned the true essence of Sifu’s moves and techniques that he had kept very close to his heart. Hundreds of hours of intense internal and external martial arts training with Sifu was simply exhilarating and challenging mentally and physically. But also a true joy and honor for me”, Said Azad. Sifu Valvalette promoted Master Azad to the rank of Grandmaster “Sifu”, and his only “Successor” to his style of Tai Chi Chuan system. Master Azad was also charged with the responsibility to promote the art at all levels and to maintain the true secrets and essence of the art as kept by the Great Grandmaster Lenny Vavalette and transfer it to the next in line of lineage. The tradition of passing the flag to the next Grandmaster is not an easy one but an important one for all martial arts Great Grandmasters. Sifu Vavalette had predicted that he would pass away on December 25th, 2011. That is exactly what happened. Sifu passed away on the morning of Christmas day, December 25th, 2011 at Oakmont Retirement Center, leaving his art to the new 10th-degree black belt, “Sifu Grandmaster” of the system, Farshad Azad who resides in Chico, California in the United States. “I am very proud and honored to have been promoted to the rank of Grandmaster Sifu by the late Great Grandmaster Lenny Vavalette and to be the torch bearer of his system. However, I am even more touched and honored by Sifu calling me his “true brother” and “true friend”. I will miss Sifu, his laughter, his teachings, his humor, his candidness, his love, and presence, as well as his friendship forever and I, hope I join his spirit someday so we can once again practice martial arts together. His energy is with me every day and I am grateful for being so lucky as to have a friend and brother like Sifu Lenny”, Grandmaster Sifu Azad.